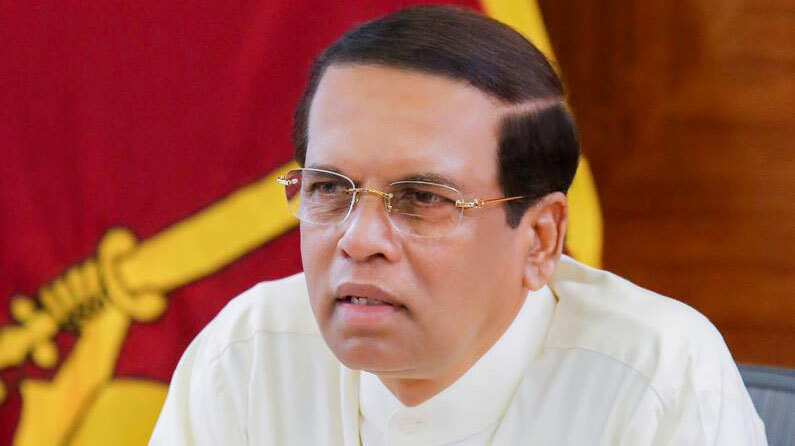 lanka C news | අපේ සමනල සිත් රිදිලා..අපි භීතියෙන්.. අපෙන් සමාව ගනු.. – සමලිංගිකයෝ කොළඹ මුල්වරට මාධ්‍ය හමුවක.. ජනපතිට තර්ජනය කරති..
‘ජනමහිමය’ ජනරැළියේදී ජනාධිපති මෛත්‍රීපාල සිරිසේන මහතා විසින් ‘සමනල රැල’ යයි කල ප‍්‍රකාශය නිසා මෙරට සමරිසි ප්‍රජාවට සිදුවූ අපහාසය සම්බන්දයෙන් ඔවුනගෙන් සමාව ඉල්ලීමට ජනාධිපතිපතිවරා කටයුත කල යුතු යයි සමලිංගිකයන් පිරිසක් කොළමදී මාධ්‍ය අමතමින් කියා සිටියහ. 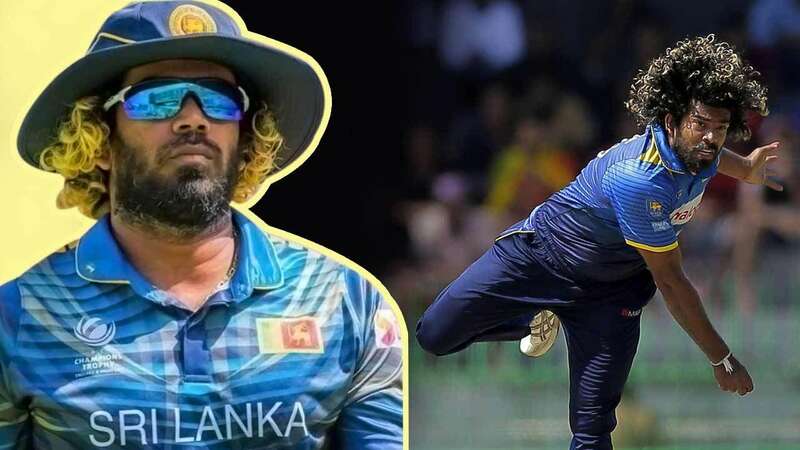 ජනාධිපතිවරයාගේ ප‍්‍රකාශය නිසා සමරිසි ප‍්‍රජාව භීතියට පත්ව සිටින බවත් පැවසූ ඔවුන් සමලිංගික හැසිරීම අපරාධයක් නොවන බවද කීහ. ජනාධිපතිවරයා විසින් සමරිසි ප්‍රජාවගේ සිත් රිදවා ඇති බවත් පෞද්ගලික ලිංගික ජීවිතයන් අවුස්සමින් නොමනා ප‍්‍රකාශ ජනාධිපතිවරයා විසින් කර ඇති බවත් ඔවුහු චෝදනා කලහ. President did not hurt you . he clearly mentioned that butterflies are not suitable for handle the country. 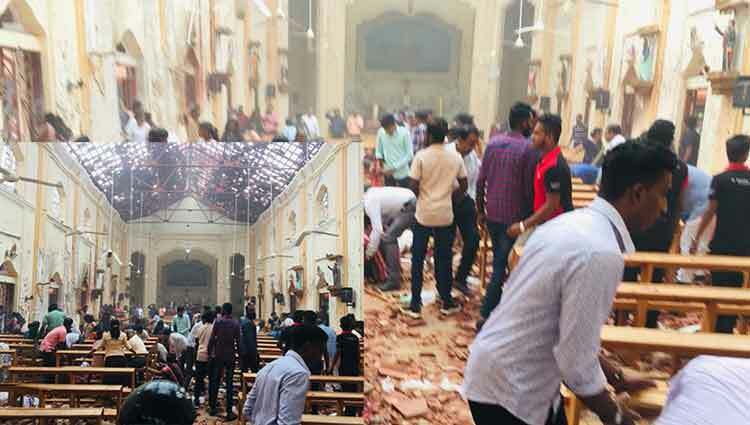 මේක මානසික රෝගයක්, ශාරීරික ආබාධයක් වගේ තමුන්ගෙ පාලනයෙන් තොරව ඇතිවෙන අනුකම්පාවට භාජනය විය යුතු තත්වයක් නැත්නම් විකෘතියක්.., මේ අයට කවුරුවත් හිනා වෙන්නෙ පහත් කරන්න හොඳ නෑ. ඔය කියන කතාවෙදි එහෙම කරලත් නෑ. ඒත් ඔවුන්ට අවශ්‍ය විදියට කල්ලි හදාගෙන ඔවුන්ගෙ රටාවට සමාජයක්, රටක් ගෙනියන්න දෙන්න බෑ. මෙතන තියෙන ප්‍රශ්නෙ ඒකයි. නැතුව වෙනත් දෙයක් නෙවෙයි. Read the world health guide book for doctors, it says its not a mental issue. Its a natural thing. What is natural about it ? It is extremely unnatural. Animals do not do it. Anyway the issue is that these weirdos are trying to turn the entire society in to their hunting ground. දැන් පේනවනේද මේ රටේ සංස්කෘතිය කෙලෙසන්ට හදන උන් කවුද කියල. 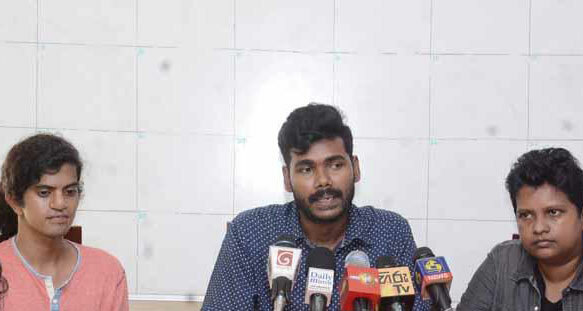 එක්කෝ රටට වෛර කරන NGO කාරයෙක්. නැත්තන් ඉන්දියාවේ ලේ තියන එකෙක්. 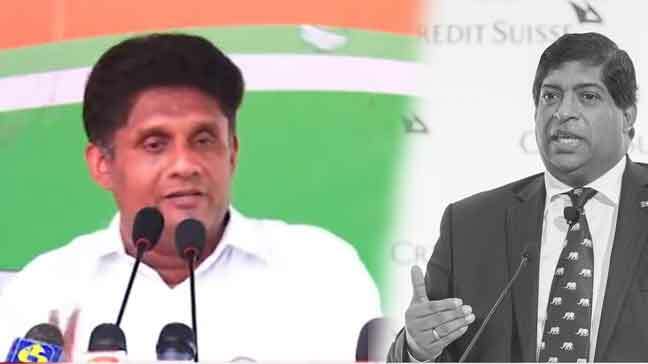 එහෙමත් නැත්නම් රටේ රාජ්‍ය භාෂාවවත් කථාකරන්ට බැරි ලුම්පන්නයෙක්. එකෙක් හිටියද ඔතන සිංහල සංස්කෘතියට බද්ධවෙලා ගමක හැදිච්ච. අනේ රටකට කරපු දෙයක්. බුදු දහමේ සමලිංගකයන් හදුන්වන්නෙ ඔනැම වෙලාවක ලිංග දෙක සමගම හැසිරිය හැකි. අන්තිම කුපාඩි පිරිසක් බවයි. ලංකාවේ සමලිංගිකයන් බිහිවෙන්න පටන් ගත්තෙ සුද්දගෙ සංස්කෘතික ආක්‍රමණයත් සමගය. නමුත් සමලිංගික කියා කට්ටියකි නොවේ නපුංසක කියා පව්කාර කට්ටියක් ගැන බුදු දහමේ කියවෙනවා. නපුංසක බාවයක් ලබන්නෙ පෙර කර්මයකිනි. නපුංසකයන් නැතිකල නොහැක නමුත් සමලිංගකයන් ලංකාවෙන් නැති කල හැක. 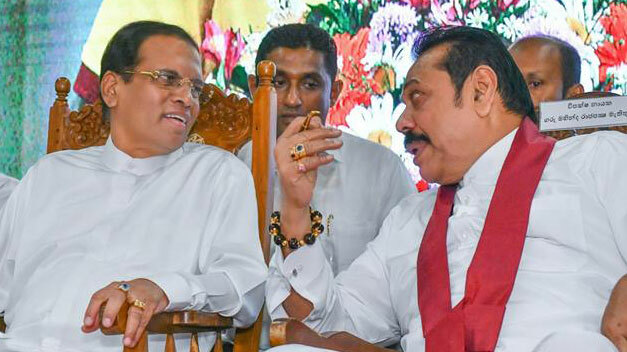 මචන්, ත්‍රිපිටකයේ කොතැනද ඕක කියල තියෙන්නේ? සමාවෙන්න, දන්නේ නැති හින්දයි ඇහැව්වේ. ත්‍රිපිටකය අදාළ කොටස පිලිබඳ සවිස්තරව ධර්මදේශනාවක් පසුගිය වසරේ බෞද්දයා චැනලයේ විකාශනය වුනා එතනින් එය සොයාගත හැක එහිදී ගරු ස්වාමින්වහන්සේ බොහොම පැහැදිලිව විස්තර කළා කාමය වරදවා හැසිරීම නපුංසකයෙක් වීමට හේතුවන බව.එසේම එම අදාළ ත්‍රිපිටක චේද වල විස්තර කරනවා මේ විකෘති කාම පුදගලයන් ගේ හැසිරීම පිළිබඳව ඒවා ඇසුවහොත් පුදුම වේවි මිට අවුරුදු 2500 කට පෙර මේ දේවල් තිබුනාද කියා . Loke glbt aya wadiyenma adahanne buddhagama. Buddhagame ehema deyak naha. රටේ නීතිට අනුව සමරිසි කියන්නේ නීතිවිරෝධී දෙයක්. 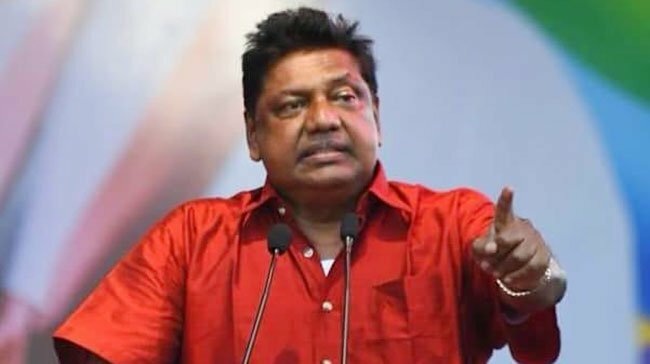 මේ මාධ්‍යට පැමිනි සියලු දෙනාම හරි නන් අතඅඩන්ගුවට ගන්න ඔන.රට කන හරක්. ඔන්න ජනපතිතුමාට අර කලින් කරන්න බැරිවුන දේවල් කරන්න හොඳ චාන්ස් එකක්. දුවන්න ගහන්න, රටට කිසි වැඩක් නොකර සමලින්ගික රිසිය හරි යයි කියන පරයින්ට. දැන් එතකොට සිංහල දෙමල මුස්ලිම් වලට අමතරව සමරිසි ප්‍රජවකුත් ඉන්නවද ලංකාවේ ? 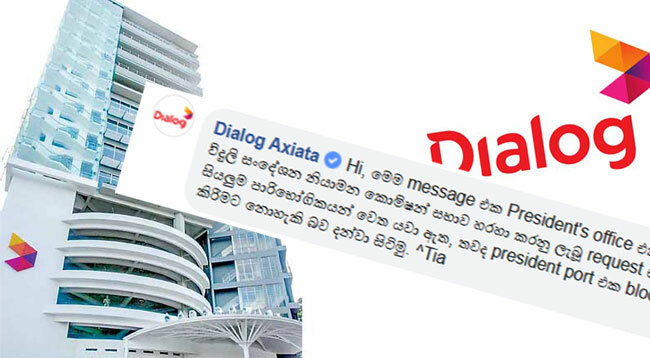 ඉඩම් බලතල පොලිස් බලතල ඉල්ලනවද ඔයාල ? Naha illanne apita ape paduwe inna denna kiyala, apith rata jathiyata adarei. 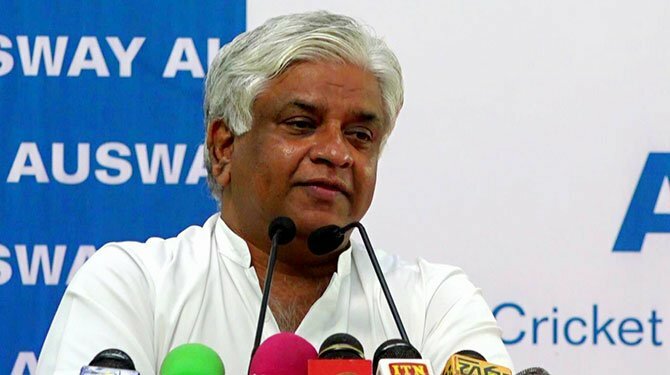 Ranil kiyana jathidrohiya nisa apita samasthayak widiyata banninna epa. Me ballo apiwa niyojanaya karanne naha. Apitath ranilwa yawanna one. අපි ඉල්ලන්නේ පොල්තෙල් ,බටර් , මාගරින් වගේ ඒවා වල මිල අඩු කරන්න විතරයි. samanalayo kotintath wada shapayak..wahama me raten palawa harimu…nathnam unwa winasha karamu..
We have no hard feelings for these people…But i feel this is too much….Just because one small part of speech its not that effective…This kind of press briefings / Shows will damage a lot. This is not acceptable….Pls shut your dances and live your life… Sri lankans are not so morons to follow you people and kill. Are you funded by such NGOs ???? These LGOBT people try to capture the opportunity to make a trend…….Pls close your doors and have ypur desired life..
මේ ගල් කාරයො එළ බැස්සෙ හාමුගෙ පාලනේ යටතේ. දැන් එනවා ප්‍රසිද්ධ මාධ්‍ය සාකච්ඡා කරන්න. ගල් ගහල එලවන්න ඕන කොලු කාරයො සෙට් එක. I do not have a particular interest in this group as they are not normal from what we used to be, heard of. But, they are also human beings and they have their own difficulties to fit into the society which is full people like me. They struggle day in day out. We need to be compassionate, broad-minded and give space in our world to live and contribute. MS may not have that sort of maturity and exposure. 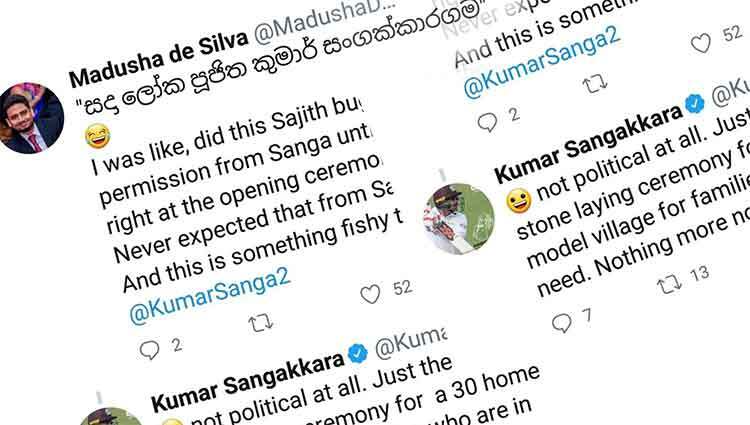 Just like that tv commentator insulted the SL opera singer as cast voice!! මේ සෙට් එක වෙන්න ඇති වෙන්නැති සමලිංගිකත්වය නීති ගත කර ගන්න බලාගෙන හිටියේ. 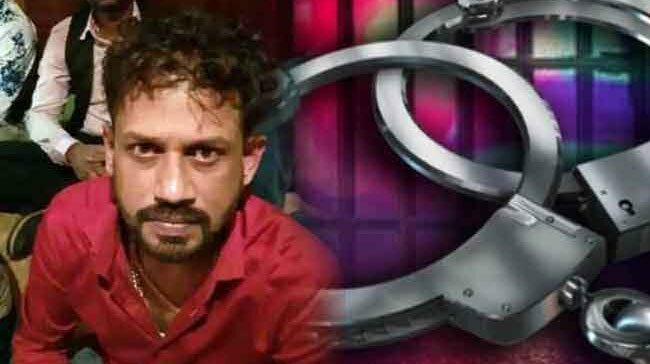 මේ කතාව බලනකොට මොවුන් කොතරම් නුහුරට හිතන පතන කොටසක්ද කියා තේරෙනවා. ජනාධිපතිගේ කතාවේදී රනිල් කැබිනට් එකේ නැතිව තමුන්ගේ හොර ගෑනුත් එක්කලා තීරණ ගත්තා කිව්වනම් මොවුන් එලියට බහිනවද? එහෙම නැතිනම් කැබිනට් එකේ නැතිව ගෙදර උන් එක්කලා තීරණ ගත්තා කිව්වානම් මොවුන් එලියට බහිනවද? එහෙමත් නැතිනම් කැබිනට් එකේ නැතිව බටහිර තානාපතිලා එක්කලා තීරණ ගත්තා කිව්වානම් මොවුන් එලියට බහිනවද? 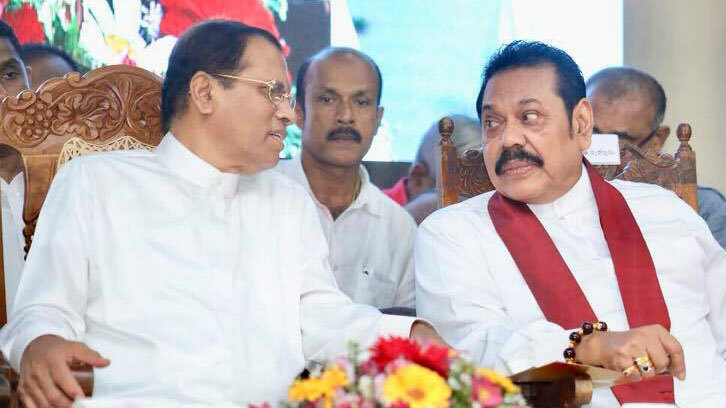 එහෙම කලානම් ඒකත් වැරදි නොවේද? රනිල්හට කෙළවෙන කොට වෙන උන්ව වයින්කරලා එදිරියට එවන රනිල්ගේ කපටි සූත්තරේට අහුවුණ අහිංසකයෝ තමයි මේ කැමරාව ඉදිරිපිට අඬා වැළපෙන්නේ. රනිල් කළයුතුව තිබුනේ කැබිනට් එකේ සාකච්චා කරලා ප්‍රශ්න වලට උත්තර හොයන එකයි. එහෙම නැතිව තමුන්ගේ අතුරු කණ්ඩායම් සමඟ වැඩකිරීම නොවෙයි. මෙතැනදී ලජ්ජා නැතිව කටයුතු කරන්නේ නියම පිරිමි හෝ ගැහැණු කියා වැරදියට හිතන් ඉන්න UNP ඇමතිලා සහ මන්ත්‍රීලා. nathi reddak patala ganna awith ira ganne nathuwa inna thiyenne….mokadha oya leda bo karana prajawata rate 98% kamathi na…. Yes… President should apologise… To say LGBT people can’t do any work…!!! just because they can’t run a country doesn’t mean they can’t do anything…!!! ogollo mokatada walige paga gathe. samanala ran kiyanne pera psal lamontane. samanala ranak wage kiyala lama githayak hiyenne ahala nadda . ogollanta kiyanne samalingikayo kiyalane. janapathi ehema kiwwe naha ne. ogollo lamaloke ptalawa ganna epa. When someone says that decisions are made only by a certain group ( eg: woman, fat people, strong people, homosexual people,rich people), there is no insult to that group. 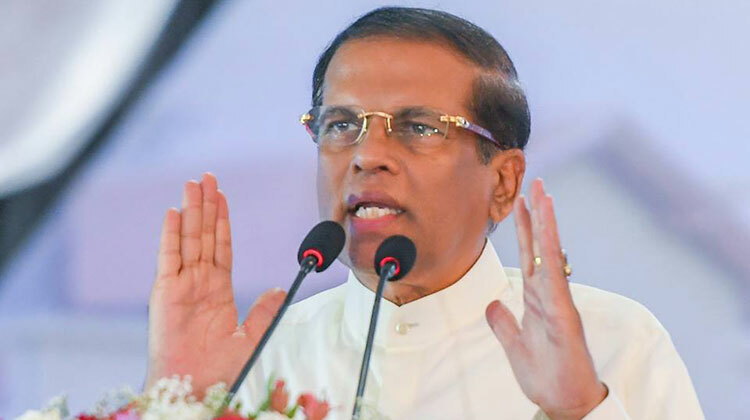 Accordingly Mr Sirisena has not insulted to the group he called ‘Samanallu’. President has not said the group ‘Samanallu’ is unacceptable. He has never said they should not be in the parliament. What he has said was that working them only together ( by discriminating the rest) is wrong. There can be many groups like butterflies, tiger, halmasso, gal ibbo, like that. Mund may media eken lakunu daganna awilla. ayeth kawada media ekata katha karannada? 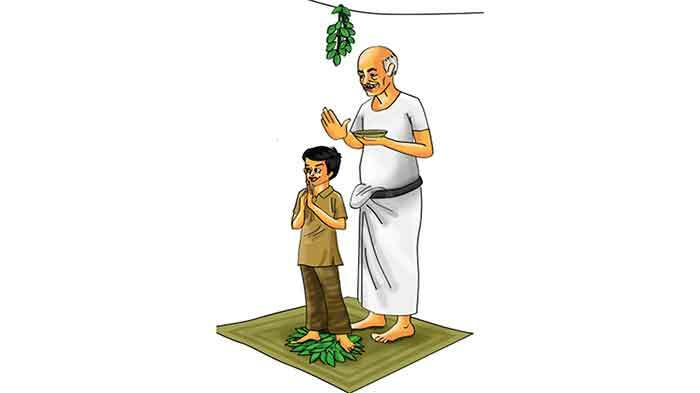 Pravesamin katha karapalla…. umbalage demaw piyo dana ganiiwi. Munta kiyanna one harinam Sama Lingu Uranu Risi kiyala. 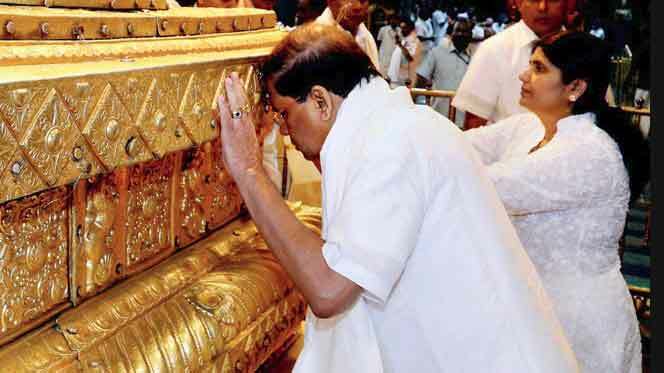 Mun vage vikurthi thiyena un unge avashyatha thamunge paduwr ishta karata apita kamak ne. Unge vikurthi Prawardhanaya karanna ifa denna honda ne. 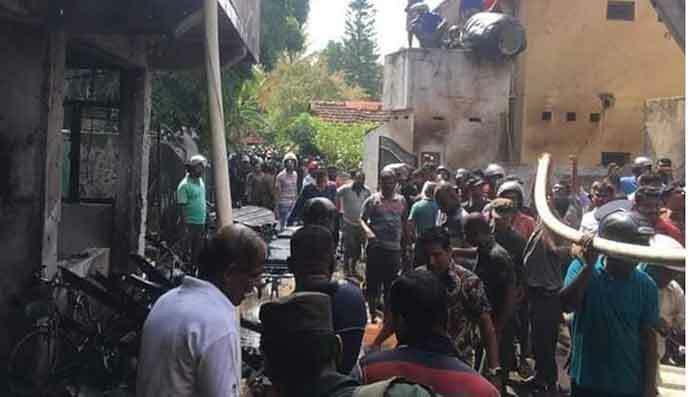 ඇයි මේ අය රනිල් මෙයාල වගේ කිව්වම upset වෙලා? Whatever their sexual orientation is, I am very happy the way that Tamil Lecturer, Mr. Wardharaja spoke in pure Sinhala language.